Color: Black -Description: Black T-shirt with crew-neck and short sleeves; made from cotton. It is embellished with silver logo and details, on the front and on the back. - Details: 100% Cotton. Machine wash at 30°C. Color: White -Description: White T-shirt with crew-neck and short sleeves; made from cotton. It is embellished with light blue logo, on the front. - Details: 100% Cotton. Machine wash at 30°C. Color: White -Description: White T-shirt with crew-neck and short sleeves; made from cotton. It is embellished with siver logo, on the front. - Details: 100% Cotton. Machine wash at 30°C. 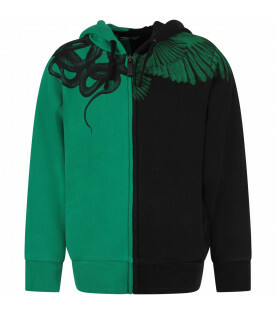 Color: Black and green -Description: Black and green sweatshirt with hood, side pockets, long sleeves and closure with zip, on the front, made from cotton jersey; it is embellished with wings and snakes printed around the collar and on the shoulder in contrasting colors. - Details: 80% Cotton 20% Polyester. Machine wash at 30°C. 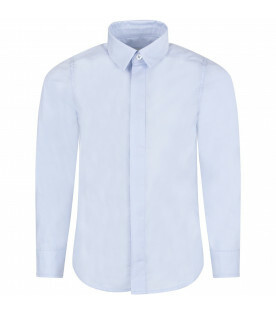 Color: White -Description: White t-shirt, made from cotton jersey, with round neckline and short sleeves. 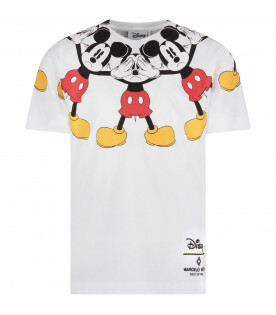 It is made in collaboration with Disney and it is embellished with Mickey Mouse printed, on the front and on the back. - Details: 100% Cotton. Machine wash at 30°C. 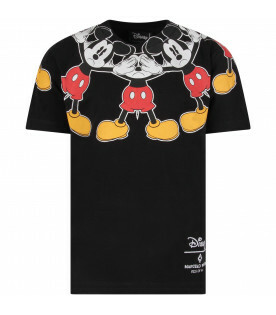 Color: Black -Description: Black t-shirt, made from cotton jersey, with round neckline and short sleeves; it is made in collaboration with Disney and it is embellished with Mickey Mouse printed, on the front and on the back. - Details: 100% Cotton. Machine wash at 30°C. Color: Black -Description: Black T-shirt with round neckline and short sleeves. 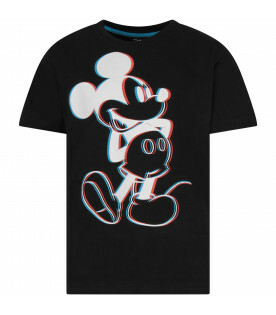 It is made in collaboration with Disney; Mickey Mouse with 3D effect, printed on the front; it is equipped with 3D glasses -Details: 100% Cotton. Machine wash at 30°C. Color: Black -Description: Black T-shirt with ribbed crew-neck and short sleeves. It is embellished with white rubbred surd, on the front. -Details: 100% Polyester. Machine wash at 30°C. Color: Black -Description: Black sweat-shirt with long sleeves, hood, pockets and closure with zip, on the front. It is embellished with white iconic logo on the front, multicolor stripe printed on the right sleeve, and colorful wings and barcode printed on the back. - Details: 80% Cotton 20% Polyester. Machine wash at 30°C. Color: Blue -Description: Blue T-shirt with ribbed crew-neck and short sleeves; made from cotton. 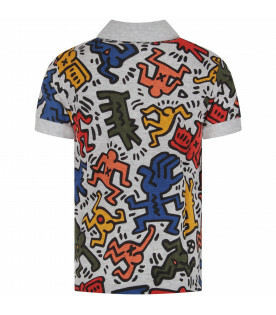 It is embellished with colorful iconic dog and black logo, on the front. - Details: 100% Cotton. Machine at 30°C. Color: White -Description: White T-shirt with ribbed crew-neck and short sleeves; made from cotton. 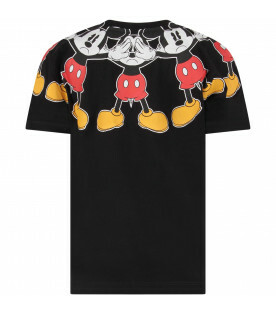 It is embellished with black rubbered logo and black "Bad Boy" writing on the front. - Details: 100% Cotton. Machine at 30°C. Color: Green -Description: Green T-shirt with crew-neck and short sleeves; made from cotton. It is embellished with white logo printed on the front. -Details: 100% Cotton. Machine at 30°C. Color: Red -Description: Red sweatshirt with ribbed crew-neck and long sleeves; made from cotton. It is embellished with white logo printed, on the front. - Details: 100% Cotton. Machine wash at 30°C. Color: Green -Description: Green sweatshirt with ribbed crew-neck and long sleeves; made from cotton. It is embellished with white logo printed, on the front. - Details: 100% Cotton. Machine wash at 30°C. Color: White -Description: White T-shirt with ribbed crew-neck and short sleeves; made from cotton. 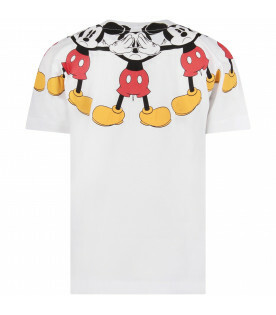 It is embellished with black logo and colorful iconic Teddy Bears, printed on the front. - Details: 100% Cotton. Machine wash at 30°C. 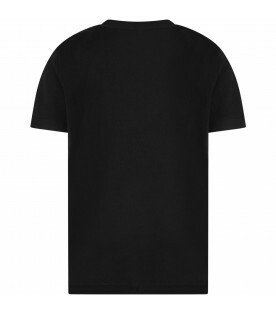 Color: Black -Description: Black t-shirt, with round neckline and short sleeves, made from cotton jersey; it is embellished with white dotted logo, printed on the front. - Details: 100% Cotton. Machine wash at 30°C. Color: White -Description: White T-shirt with long sleeves and ribbed crew-neck; made from cotton. It is embellished with colorful Teddy Bear and black logo, on the front. -Details: 100% Cotton. Machine wash at 30°C. Color: White -Description: White T-shirt with ribbed crew-neck and short sleeves; made from cotton. It is embellished with black printed logo, on the front. - Details: 100% Cotton. Machine wash at 30°C. Color: Black -Description: Black sleeveless tank top with ribbed crew-neck; made from cotton. It is embellished with white all-over logo. - Details: 100% Cotton. Machine wash at 30°C. Color: Royal blue -Description: Royal blue sweatshirt with ribbed crew-neck and long sleeve; made from cotton. It is embellished with neon yellow spot and blue logo on the front. -Details: 100% Cotton. Machine wash at 30°C. Color: Red -Description: Red T-shirt with ribbed crew-neck and short sleeves; made from cotton. It is embellished with white printed logo, on the front. - Details: 100% Cotton. Machine wash at 30°C. Color: Black -Description: Black sweatshirt with ribbed crew-neck and long sleeves; made from cotton. It is embellished with white printed logo, on the front. - Details: 100% Cotton. Machine wash at 30°C. Color: White -Description: White sweatshirt with ribbed crew-neck and long sleeves; made from cotton. It is embellished with black printed logo, on the front. - Details: 100% Cotton. Machine wash at 30°C. Color: Yellow -Description: Yellow T-shirt with ribbed crew-neck and short sleeves; made from cotton. It is embellished with black printed logo, on the front. - Details: 100% Cotton. Machine wash at 30°C. Color: Royal blue -Description: Royal blue T-shirt with ribbed crew-neck and short sleeves; made from cotton. It is embellished with white printed logo, on the front. - Details: 100% Cotton. Machine wash at 30°C. Color: White -Description: White sweatshirt with crew-neck and long sleeves; made from cotton. It is embellished with black rubbred logo all-over. - Details: 100% Cotton. Machine wash at 30°C. Color: White -Description: White sleeveless tank top with ribbed crew-neck; made from cotton. 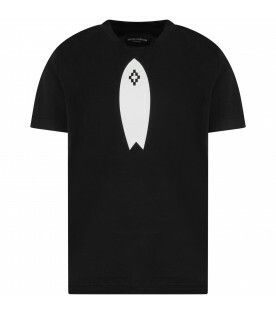 It is embellished with black all-over logo. - Details: 100% Cotton. Machine wash at 30°C. Color: Green -Description: Green T-shirt with short sleeves and ribbed crew-neck; made from cotton. It is embellished with white embroiderd logo, on the front and white stripe on the sleeve. -Details: 100% Cotton. Machine wash at 30°C. Color: Black -Description: Black T-shirt with short sleeves and ribbed crew-neck; made from cotton. It is embellished with white printed logo, on the front and rubbred patch with logo, on the back. -Details: 100% Cotton. Machine wash at 30°C. Color: Yellow -Description: Yellow T-shirt with short sleeves and ribbed crew-neck; made from cotton. 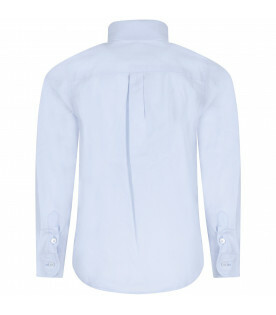 It is embellished with white embroiderd logo, on the front and white stripe on the sleeve. -Details: 100% Cotton. Machine wash at 30°C. 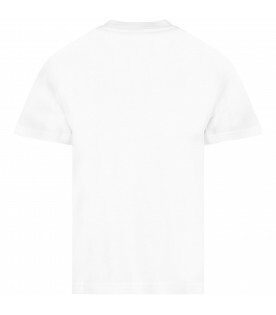 Color: White -Description: White T-shirt with short sleeves and ribbed crew-neck; made from cotton. It is embellished with white embroiderd logo, on the front and red stripe on the sleeve. -Details: 100% Cotton. Machine wash at 30°C. Color: Green -Description: Green T-shirt with short sleeves and ribbed crew-neck; made from cotton. It is embellished with white printed logo, on the front and rubbred patch with logo, on the back. -Details: 100% Cotton. Machine wash at 30°C. Color: White -Description: White T-shirt with ribbed crew-neck and short sleeves; made from cotton. It is embellished with black logo and crown, printed on the front. - Details: 100% Cotton. Machine wash at 30°C. Color: White -Description: White t-shirt with round neckline and short sleeves, made from cotton jersey; burgundy, white and black striped ribbed collar; it is embellished with all-over colorful crowns, black logo and embroideried crown on the front. -Details: 100% Cotton. Machine wash at 30°C. Color: White -Description: White T-shirt with ribbed crew-neck and short sleeves; made from cotton. 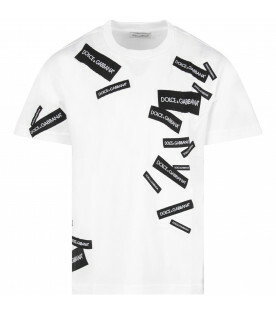 It is embellished with black all-over patches with white logo. - Details: 100% Cotton. Machine wash at 30°C. Color: White -Description: White T-shirt with ribbed crew-neck and short sleeves; made from cotton. 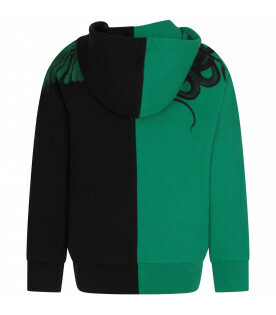 It is embellished with colorful roaring panthers and black logo, on the front. -Details: 100% Cotton. Hand wash.
Color: Green -Description: Green T-shirt with ribbed crew-neck and short sleeves; made from cotton. It is embellished with colorful iconic tiger, on the front and black logo, on the back. - Details: 100% Cotton. Hand wash.
Color: White and light blue -Description: White and light blue striped T-shirt with ribbed crew-neck and short sleeves; made from cotton. It is embellished with black patch with white iconic compass and logo, applied on the front and iconic compass with logo, on the back. -Details: 100% Cotton. Machine wash at 30°C. 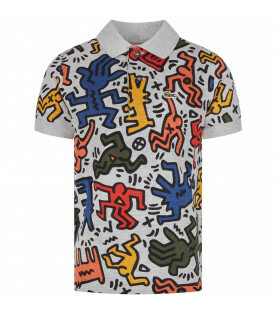 Color: Melanged grey - Description: Melanged grey polo shirt, made from piquet cotton, with short sleeves, classic collar and flap with buttons on the front; it is embellished with all-over print of Keith Hering and iconic cocrodile embroideried on the breast. - Details: 100% Cotton. Machine wash at 40°C. 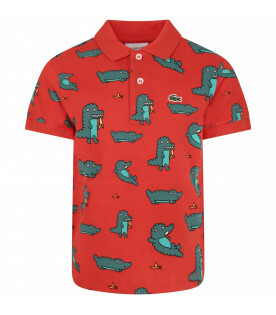 Color: Red - Description: Red polo shirt, made from piquet cotton, with short sleeves, classic collar and flap with buttons on the front; it is embellished with all-over print with cocrodiles and iconici cocrodile embroideried on the breast. - Details: 100% Cotton. Machine wash at 40°C.